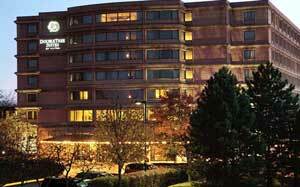 This hotel is connected to the Downers Grove training facility. Note: The Hotel has a restaurant on the premises. 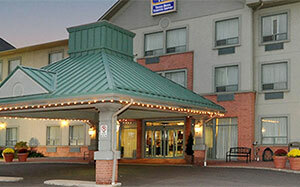 Shuttle service to/from Pearson Airport ONLY (dependent on availability AND MUST be booked in advance). 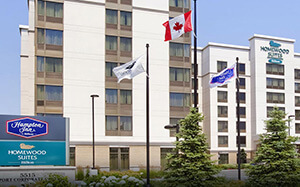 Note: Hotel facilities include: Fitness Centre, Whirlpool, On-site Restaurant and Bar, "Best Bite Bar & Grill" - Open Daily 4 PM -10 PM, On-site Coin Operated Laundry Facility, Same Day Dry Cleaning Available. All rooms contain a Mini fridge, Microwave, Single cup coffee and tea maker, 42" LCD TV and Laptop Tray.